When using Zakeke, your final customer has a wide choice of fonts available for your text. If these are not enough or you need to use your own fonts collection, you can load new ones into classic TrueType (TTF) and OpenType (OTF) formats. 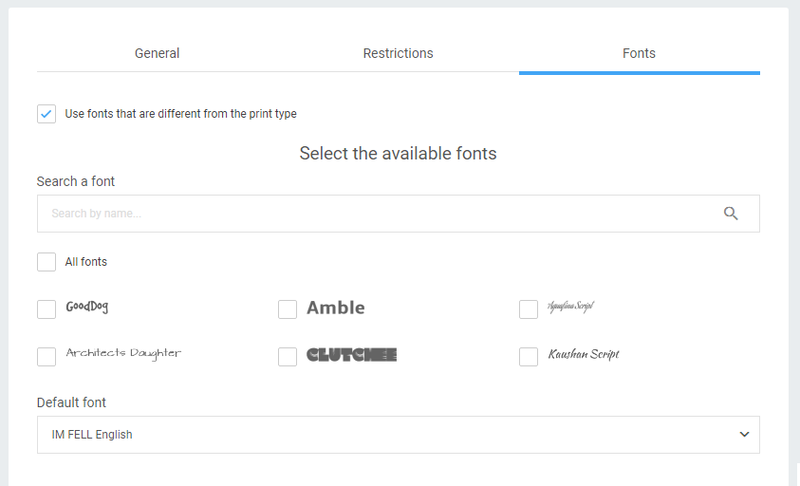 To load new fonts in addition to Zakeke's predefined, go to the "Fonts" page on the side menu. 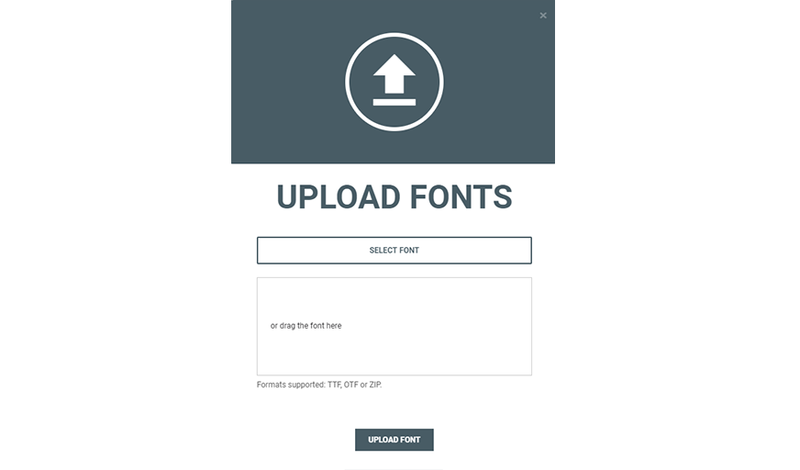 On this page we can check which fonts we have (all, default or uploaded by us) and check the upload status. Click on ADD NEW FONTS in the upper right and a dialog will open where you can press SELECT FONTS or drag the files directly into the browser window. You can select one or more .TTF, .OTF files, or a ZIP package containing the fonts. After selecting the fonts, click on the UPLOAD FONT button to load. Unlike other Zakeke elements, fonts need a few minutes before being available to the user and customizations. After uploading the files, you will be taken to the "Fonts" page in the "in processing" section. On this page we can check the fonts installation status. Waiting - Your fonts have not yet been processed. Processing - Fonts are being processed and will be installed. Error - One or more fonts have not been processed. Hover over the element to read the last error. Completed - Fonts have been successfully processed. WARNING: When a font load is in the Completed state, it may take a few seconds for the font to be fully usable. In the screen that appears, at the bottom, you can select one or more font. You can use the search field to filter the list. In the menu, select a default font to be used. It will be the starting font.